Riddled with so many injuries and replacements that it almost seems like a work of fiction, UFC 149, the promotion’s first visit to Alberta in 2012, was not exactly the spectacle it was conceived to be. Fast forward to six years later. It’s Dana White’s birthday. For the occasion, he promises Calgary an epic night of fights to make up for that blighted first visit. And boy, did he make up for it. A great night of fights from start to finish, the FOX card was a Pay-Per-View-quality affair with some of the sport’s biggest stars, and when the evening concluded, the MMA community was left buzzing with storylines that will play out for months and years to come. These are the Fight Night Calgary talking points. In his last five fights, including his win over Eddie Alvarez in Calgary, Dustin ‘Diamond’ Poirier has collected four bonuses (and it most assuredly would have been five had the original Alvarez bout not ended in an illegal knee for an NC). Further, he’s finished three former lightweight champions in his last three bouts, and finished them in convincing fashion. He’ been knocking on the door of the lightweight title picture for ages, and it seems the time has arrived to let him in. Speaking at the post fight press conference, he said as much. His point is hard to argue. 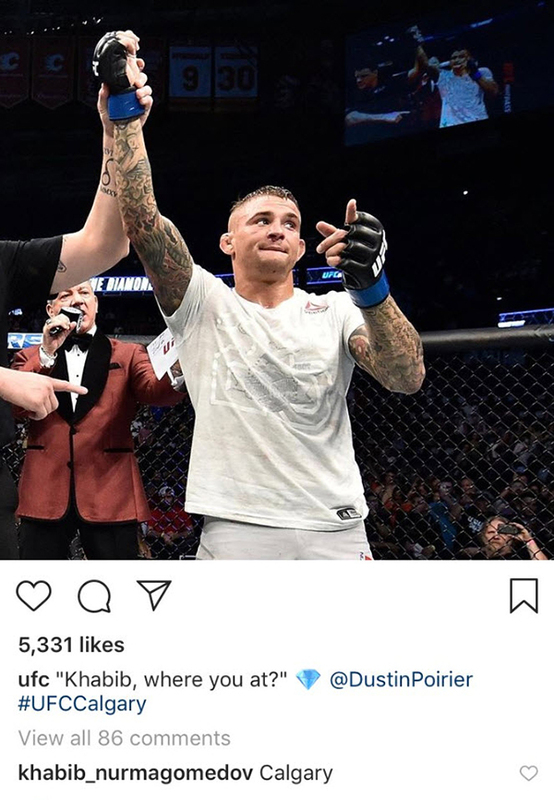 There are guys named Khabib, Conor and Tony that have a stake in what happens next, but after a second round TKO of The Underground King, Poirier made it indisputable that his name belongs in that mix. Having lost three of his last four bouts, including back to back title fights against current featherweight champ Max Holloway, there was a popular narrative that Jose Aldo’s best days were behind him and the torch had been passed. Even Aldo, who is only 31 years old, openly mused about fighting out his contract and retiring. Then came last Saturday night. With one perfectly placed blow in the first round, he crumpled a surging Jeremy Stephens, a fighter that has seemingly been reborn of late. In that brilliant flash, Aldo’s first finish victory in five years, he looked every bit the champion that for years ruled over the WEC/UFC featherweights with iron fists. The featherweight division suddenly has a little more clarity, and if they thought Aldo was going away quietly, they need to think again. At the post fight press conference, Aldo tabled any talk of retirement, but made it known through an interpreter that when he fights out his contract, he expects he will do it as the champion. Speaking of UFC veterans cemented in their divison’s title pictures, it was a huge fight week for former strawweight champion Joanna Jedrzejczyk. From the media, to the fans, to just people on the street, the Polish native was heaped with adoration wherever she went in Calgary; treated as if she still held the belt. She rewarded the love with a classic Jedrzejczyk performance, weaponizing her length and cardio to wholly outduel a steely, vastly-improved Tecia Torres. Like Aldo, it was her first non-title, three-round fight in years, and like Aldo, she gave a staunch reminder both to her division and her critics of why she reigned as long as she did. Her trademark confidence has not waned an ounce, and while she’s realistic about the other shoes that have to drop, she has a very clear prophecy of what her future holds.